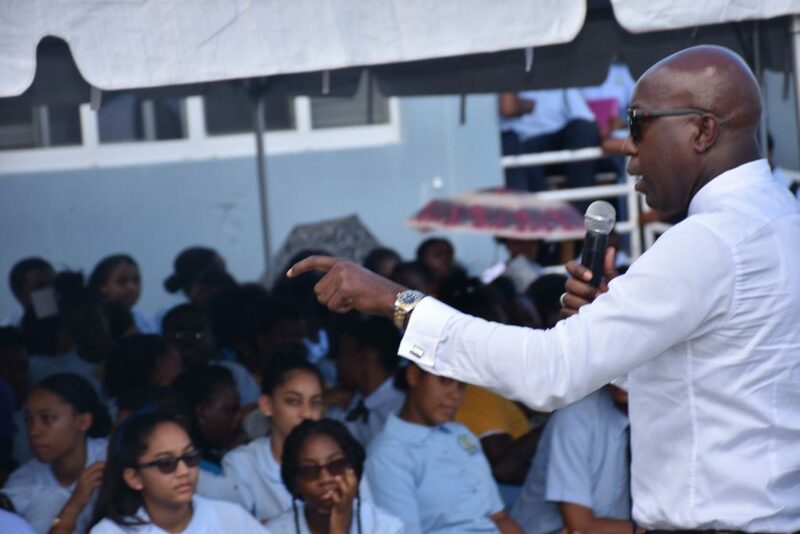 Education Minister Myron Walwyn at a student rally at Elmore Stoutt High School in Pasea Estate on May 23. 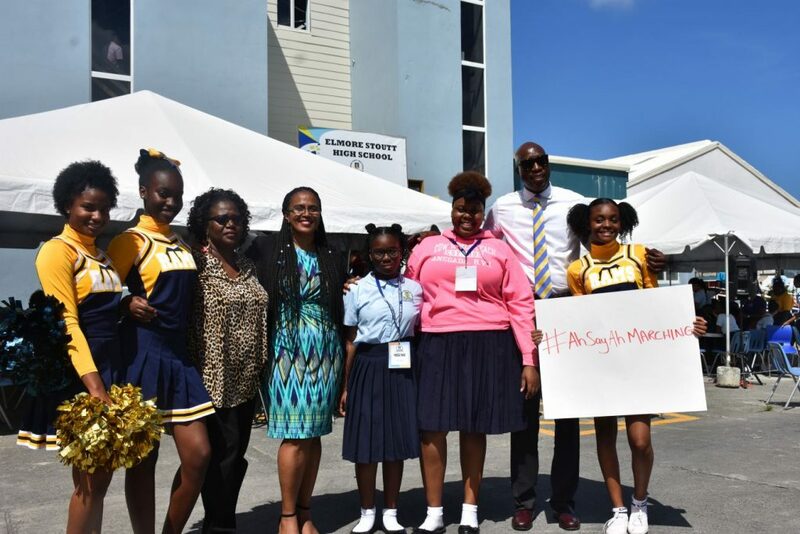 Minister of Education Myron Walwyn has announced that school will end earlier than normal today (May 24) to enable students to attend the Decision March. Speaking at an organised student rally at Elmore Stoutt High School in Pasea Estate on Wednesday, Walwyn encouraged students to come out in their numbers to support the historic protest. “I have already given the instruction for school to close early but that is for a particular purpose — we marching. 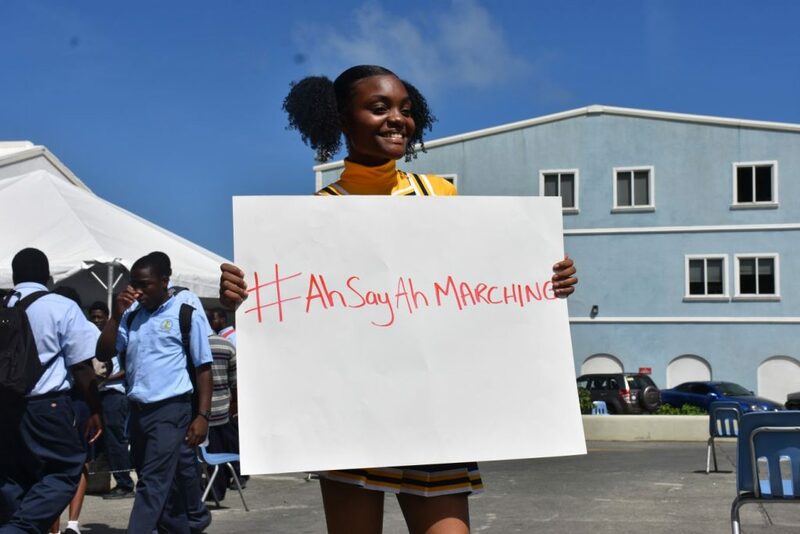 I want you to march tomorrow (today) in your school clothes because that is the clearest signal that as young people in school, your future is on the line,” he told students. The minister further encouraged educators to participate in the today’s event, which has been described as history-making. He said the march is to also send a message to the United Kingdom that the people of the territory are serious of their livelihoods. Walwyn said legislators and older residents are merely caretakers of the younger generation. And with that argument, the minister said it is imperative that students join the march. 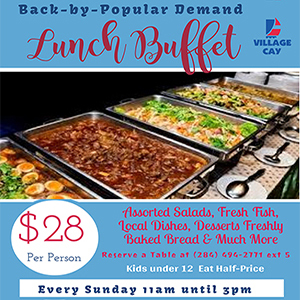 “We are competent people in the Virgin Islands and we can make laws to govern ourselves. We don’t appreciate the fact that persons many, many miles away who have no real connection to us and who don’t know us are making laws that affect our livelihood. And so we are marching,” the minister said. The march is being held to protest the UK parliament’s recent order to impose public registers of beneficial ownership on the BVI and other British Overseas Territories. The policy, which is an amendment to the UK’s Sanctions and Anti-Money Laundering Bill, was approved in the House of Lords on Monday (May 21) after first passing in the UK lower parliamentary house (the House of Commons) three weeks prior. With support from both the upper and lower houses of the UK parliament, the controversial amendment was able to become law yesterday. 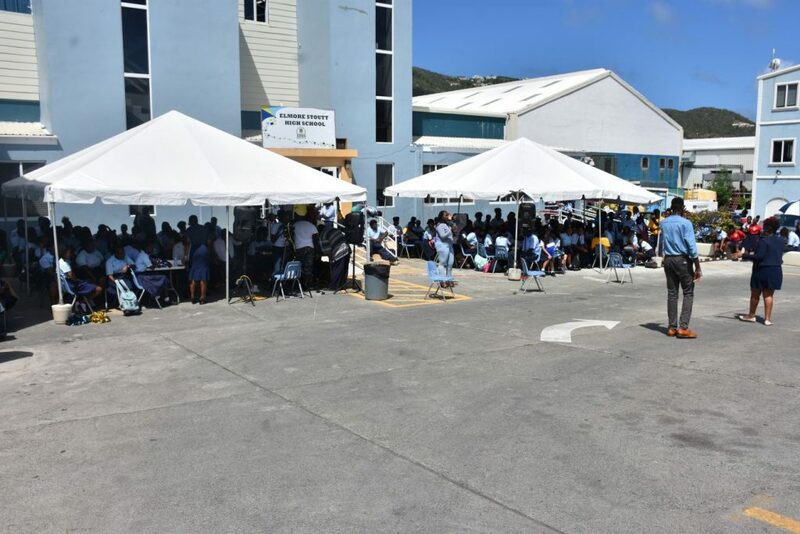 Meanwhile, the march will begin at the Sunday Morning Well in Road Town, into Fleming Street and Waterfront Drive, then culminate at Government House, where the Governor resides. This is about our constitutional rights! BTW… You say the U.K. has been good to us? When you last receive some of that U.K. goodness? Tell me…. where do I begin? food, water and supplies after Irma. An entire military detachment sent to assist clear debris and maintain security after the locals looted. Trucks and other vehicles provided free. Police and security personnel that helped round up the prisoners after they escaped. The underwriting as guarantor of a massive cheap rate loan to help us rebuild – how about these few as a sample you ungrateful dim wit…. The UK has been good to the BVI. I personally will always be grateful to them for their aid and assistance after Hurricane Irma. But because they have been good to us in the past doesn’t give them a licence to do a bad thing now, and trample upon our constitutional freedoms. Friends help friends. Friends discuss things with friends. Friends don’t trample other friends into the dust. Someone who owns you can’t be your friend. I never heard the usvi or puerto rico complained about being owned by America they relish american citizenship. If anything you ask a usvi person if they are friends with America vi flags next to american flags. This is’nt about race or anthing but if you want to go there people of colour are doing far less better in American than in the u.k but oh you guys go over there in droves…think about that. I agree with you up until you said “after the locals looted”. No, no, it wasn’t the locals that looted…remember all that stuff they had to confiscate from expats who were busy trying to get it shipped to their home country. Looting after a storm is not a part of our culture, that behavior is imported!!! Locals looted for sure I witnessed it! I am sorry but I witnessed many BVIslanders looting after Irma, some were even police women. Locals DID loot. I saw it happening. One of the local police was charged with it! So the kids get away from school at 12pm so they can march? Is this a joke because thats what the UKA will think. Trying to bolster numbers to hide the fact that its the Ministers that are worried about the public being able to see who own which companies. Something is really wrong with this place. I still can’t comprehend how nobody was marching when the criminals were out shooting people in the day and night, killing our people. Did he ask the students to march for the victims including the 11yr old child??? To force school kids and teachers to march for this deluded cause is wrong just shows how desperate the NDP are to boost numbers for the march as I’ve heard there is v little real appetite for it apart from those that are yes people and don’t think for themselves….. Kids should not be pressured into a political march. It should be up to the parents if the kids are allowed to March. The more I hear things like this the more it undermines the reason for Marching. Give us audits and a completed register of interests before you start complaining about the U.K.
Can’t we do anything together as a country without division. Yes they may be things that we should have marched for before but here we are with something that will affect all of us. Let us come together in our own common interest. If we can’t do that then we are a bigger threat to our own survival than the British. If financial services had been properly implemented in our schools, they would not have needed to be campaigned to like they were. If the same students and teachers got up the same spirit to march for improved conditions for students, teachers and the infrastructure to house them, would he have supported them? People need to March in Protest against the Government. March for better representation and accountability of our Territory. March for what will be beneficial to the People as a Whole and not for the Greedy’s pockets. People need to March to reclaim and hold on to their land and property for future generations, not for the purpose of standing with a government that has undermined and ridiculed them. Do the People have a legit and understanding as to why they are being asked or compelled to March today? Exactly, who is the Audience and who is listening to what??? People wake up! We can’t be that naive! Sending children out to support a march in favor of abolishing transparency in governance, protesting against laws that attempt to restrict money laundering and the financing of terrorism. Well done B.V.I. Ministers proud of the values you are teaching these young impressionable minds. I guess we shouldn’t be too upset when they grow up into a bunch of young thugs with no sense of right or wrong. Having presentations and using persuasion on children, closing school 1/2 day without notifying parents and most of teachers were on island.. this is ridiculous!!! Well said frocken shameless ppl doing crap with the youth hitler buisness that. This is some retarded political shizz.LEARN TO FARM AND FISH LIKE DE ILO DEM..LOL.yall salt dread..
…what going on buddy.Parents yall sgree with this shizz?Uk please take this junk yard over..please.Dem dont care bout them own country.. I hope all of you who marched, screaming independence (and are holders of British passport) are ready to give up those passports. If you want to be independent go all the way. I’m sure most if not all of those mouthy ministers have one (and your wives).